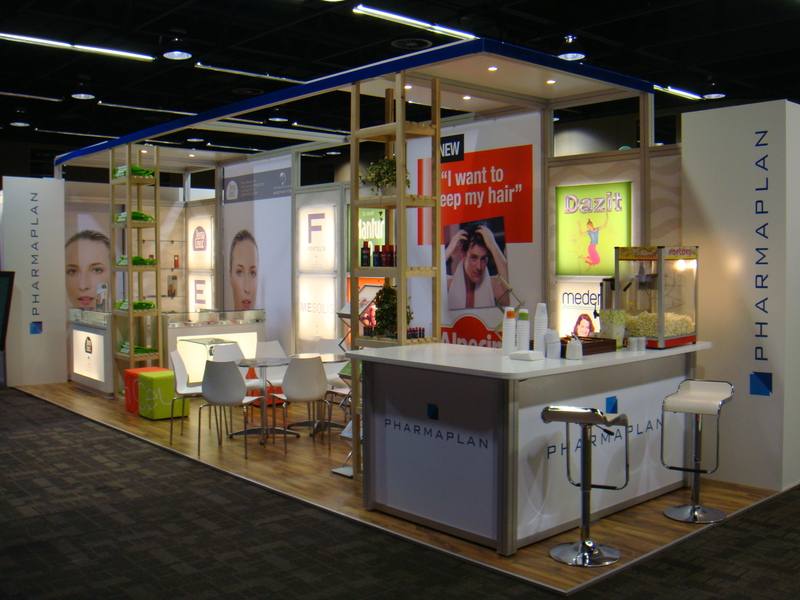 We recently completed a 9m x 3m exhibit for Pharmaplan at the 2011 Dermatology Congress held at CSIR in Pretoria during May 2011. 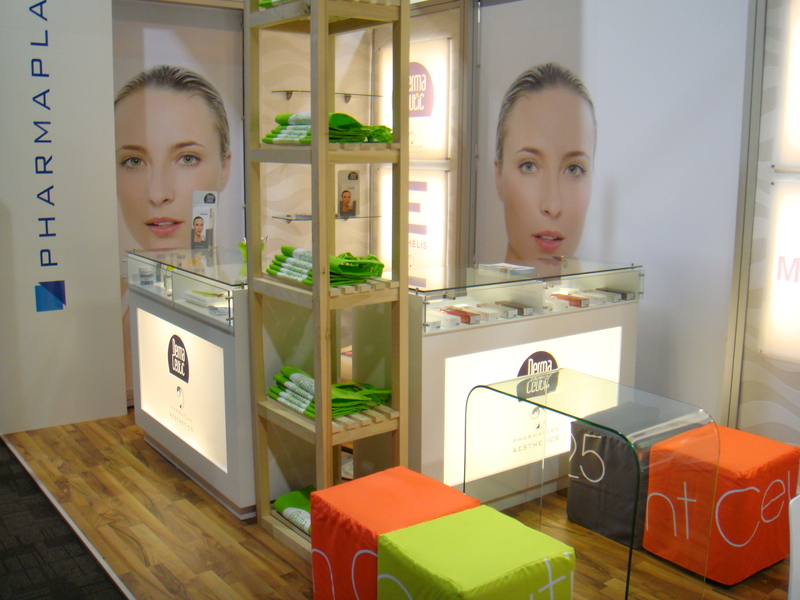 The exhibit is constructed using Octanorm combined with custom elements. It uses existing stock to a large degree and incorporates 2 separate divisions, both with vastly different exhibiting requirements. Many of these elements where existing from previous shows. Re-use of materials is crucial to not only keep costs down to the client but also from an eco-friendly perspective. The more it can be re-used the less environmental impact it has. Hospitality included popcorn made on site along with a variety of coffee options to delegates. Chocolate Croissants were demolished by delegates on delivery every morning.